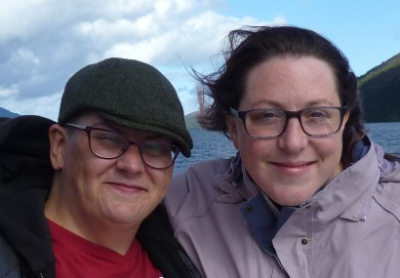 Our names are Clare (My compadre and fellow geek girl) and Erica (I'm the one in the fetching hat), and we're both massive Star Trek fans. After going on a mad pilgrimage to our first Star Trek convention in London in late 2014, we started looking round for local clubs where we could join in and geek out. We found Leeds Starfleet, and attended one meeting, but after the cafe they met in closed, the leaders of the group decided to step down. Our sister club in Manchester started hunting for someone to take the reins in Leeds, and we stepped up, nutters that we are. We felt the club needed to reflect the fact that it has members in both Leeds and Bradford, so one tweak to the name later, and here we are! Welcome! Giving to charity is at the core of each meeting and each convention stall we run. As we are a local Star Trek fan group, it made sense to us to support both local causes, and causes close to the hearts of our favourite Trek actors. Time: 1-4pm Food available at Venue​Order from Clare! ​We run 10 fun meets per year, alternating between venues in our two home cities, Leeds and Bradford. During these meets, we play Trek themed games, hold a quiz and a charity raffle, and try to cram as much fun as possible into our Sunday afternoons. Meets are usually held towards the end of each month, omitting August and December, as both of us are parents. We attend local and national sci-fi conventions, both as regular attendees and to represent our group. When we host a group stall, we have small prizes up for grabs through both a tombola and a bran tub, with proceeds being split between the group and our chosen charity. We plan on having a presence at as many conventions as possible in the coming years. We will be running a charity stall at this event: Hope to see you there! Feel free to turn up to one of our meetings! They're open to any Trek fan of any age, all you need to bring is yourself, some cash for our raffle and to feed and water yourself, and a sense of silliness! Cosplay (dressing up in costume) is not compulsory, but is actively encouraged, and you may find everything from Admirals to Andorians in attendance! If you're unsure about just turning up to a meeting, don't worry! These pages should give you some idea of the kinds of things we do during a meet, what we get up to during a convention, and the kinds of goodies we offer to our members in a raffle. Oh, and by the way, Leeds Bradford Starfleet is free to join!